Hello, today I’m going to tell you New York why you should invest in Aboriginal art and why you should have it on your walls. Aboriginal art is a special kind of art made by indigenous people. They use the wide range of techniques, material and colours. And every piece of art has a meaning story behind it. Many types of Aboriginal art are on rocks, wood, leaves, clothing and other materials Australian people over the world. Aboriginal culture dates back as far as between 60.000 to 80.000 years. Australian Aboriginal people tradition had no written language of their own. One of the trademark feature of Aboriginal art is use of dot but this design addition was only included in the main when Aboriginal people became concerned that people from outside their community would be able to understand their private stories. The use of canvases to present Aboriginal art only started in the 1970’s. Papunya a school teacher noticed a group of Aboriginal men drawing symbols in the sand whilst telling a story and encouraged them to record their own story on canvas. 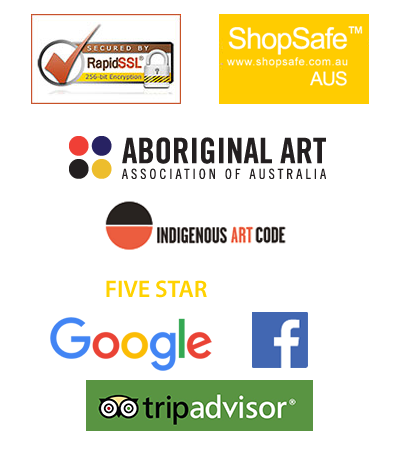 So why would you not want to invest in such meaningful beautiful indigenous art, it’s the oldest ongoing tradition of art in the world. They will look sassy up on your wall and bring inspiration into your home and your friends will love it.